They are the new hardware of democracy so evident in movements like Arab Spring, but they require social media distribution to make an impact. Governments in countries like Syria and Turkey simply shutdown Twitter and Facebook when they want to quash the vox populi. Yes, the media is still the message. a term that connotes some sort of journalistic expertise. They usually need a galvanizing event, like a revolution or a questionable killing, to spark the idea in their heads that they can pull out that camera phone and instantly become a reporter. Once ordinary citizens realize they can do this any time, a new level of inclusive civic engagement kicks in, one that simply makes everybody more accountable to their community. Think of this new civic awareness as a mobile based neighborhood watch program, but extended universally to every citizen in the neighborhood, not just those who live there. In Ferguson MO last week, the tragic shooting of Michael Brown did spark a wave of camera armed citizens chronicling what’s happening on their streets. And their voices were heard nationally. Demonstrators documented the martial reaction of the Ferguson police force on social media, and sparked a discussion by Rand Paul to demilitarize our country’s police forces. Video will deter criminal activity on both sides of the law. Authorities like police think twice when they are being taped, and citizen video recording perpetrators in the act have proven to be legal evidence. 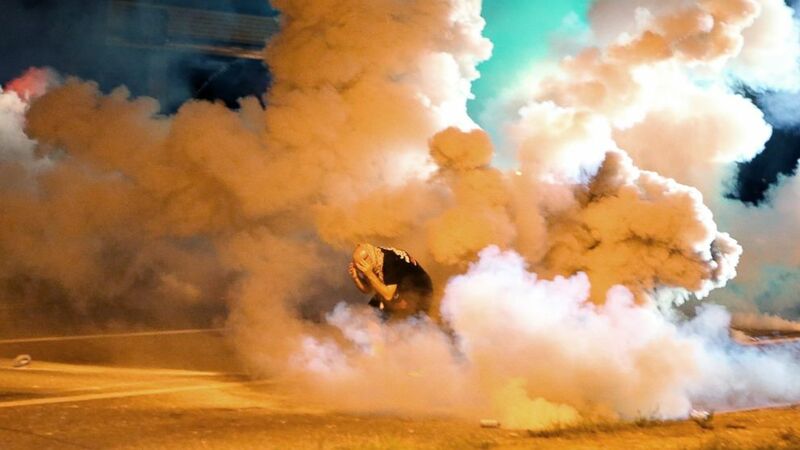 For cities in turmoil like Ferguson, the citizens of the city need to chronicle the events unfolding on their streets. 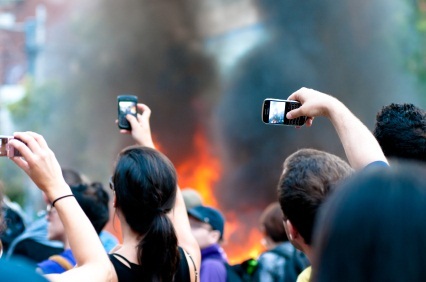 Every city should arm their citizens with a program for citizen journalism. The Breaking News Network launched five years ago based on the principle of giving citizen journalists a simple way to communicate with their communities. The BNN is unique in media by giving voice to over 7,000 local newsmakers across the 400 cities it covers; they include politicians, civic groups, independent reporters, arts and nonprofit organizations. More important, they also include individuals who chronicle their communities and are often as substantive as the local journalists. The BNN is a partner in a national program that aims to equip citizen journalists with the tools and training to chronicle what is happening on their streets. In the next few weeks, we’ll be announcing the program and use crowdfunding to expose and locally finance the program across the BNN network. How the sharing economy , crowdfunding and social news affects communities, their institutions and daily life for the better.